First, the world witnessed the agricultural revolution, then the industrial revolution, followed by the information revolution; the time has now come for a consciousness revolution. The emergence of a "global consciousness" is proof of that. The ease with which seekers and non-seekers attain the experience and access the self, and understand the illusory nature of the mind through Sirshree's methods is contributing to this consciousness revolution. This book reveals the path to attainment of the truth through an understanding of perennial wisdom or Tejgyan. We need to find the point of nothingness which is within each and every one of us -the source or the centre of your being. When you access this state, the wisdom that stems from it is called Tejgyan. Tejgyan is the wisdom beyond knowledge and ignorance-the source of all knowledge, a place where nothing is concealed and everything can be seen clearly, a place which leads you to inner peace. 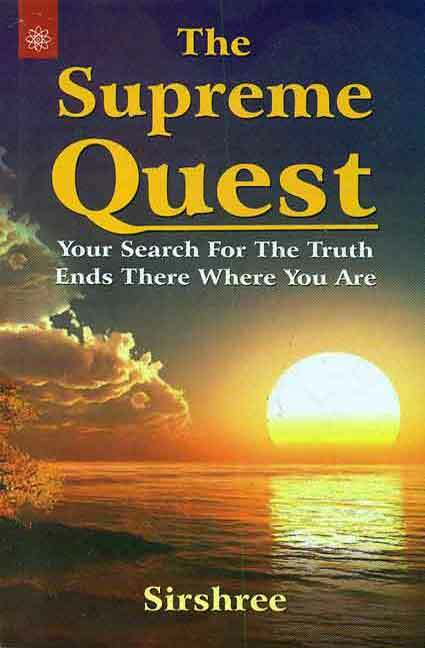 Passing through the seven stages of the supreme quest, described step by step in the book, the seeker of the ultimate truth encounters a stage which has been called 'Understanding'. This is the most important stage where one attains self-realisation.